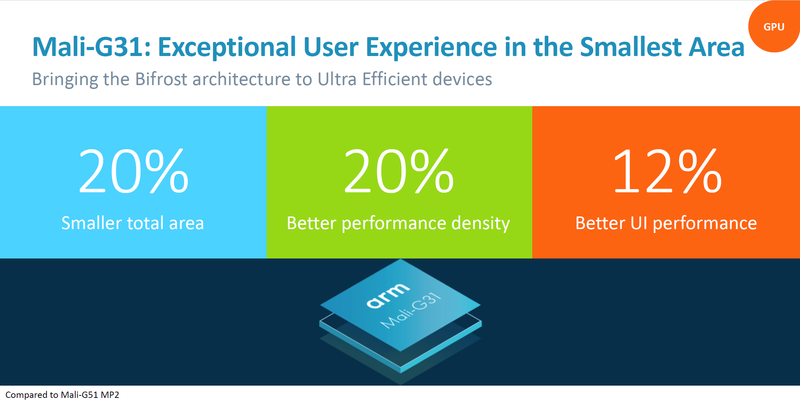 Arm, the British holding company that develops system-on-chip (SoC) architectures, has announced its new Mali G52 and G31 GPUs. The company is targeting mainstream and high-end devices with these newly designed GPUs, which will power TVs and some high-end smartphones. The Mali-G52 is the successor to the Mali-G51, and it has 30% more “performance density” thanks to wider execution engines. The G52 is the more powerful of the two chips announced and will be used in mainstream devices such as smartphones, smart TVs and tablets. According to the company, the Mali-G52 consumes 15% less power and produces less heat than previous-generation GPUs. It also supports greater game time for even battery-draining technologies like AR or VR. 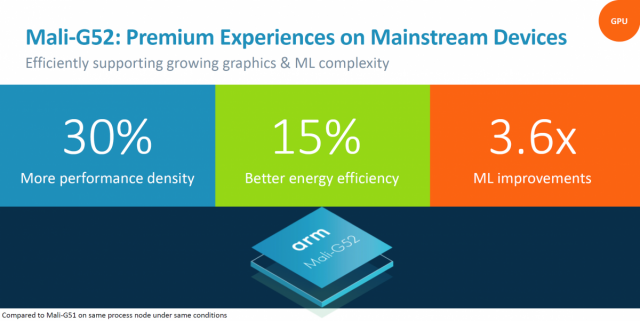 The Mali-G52 also offers 3.6x performance improvements in machine learning processing, which should help in improving smart TV features or bringing AI processing to smartphones as an alternative to Qualcomm’s Adreno platform. The Mali-G31 appears to be targeted towards lower-end applications like entry to mid-range phones. It is the first ultra-efficient GPU line-up built on the Bifrost architecture. In case you don’t know, the Bifrost architecture features a redesigned scalar and clause-based ISA, and a new geometry data flow that reduces memory bandwidth. It also brings Vulkan to more affordable devices. Laslty, Arm says that it is working with Google to ensure GPUs such as the Mali-G51 and Mali-G31 work seamlessly with ARCore. 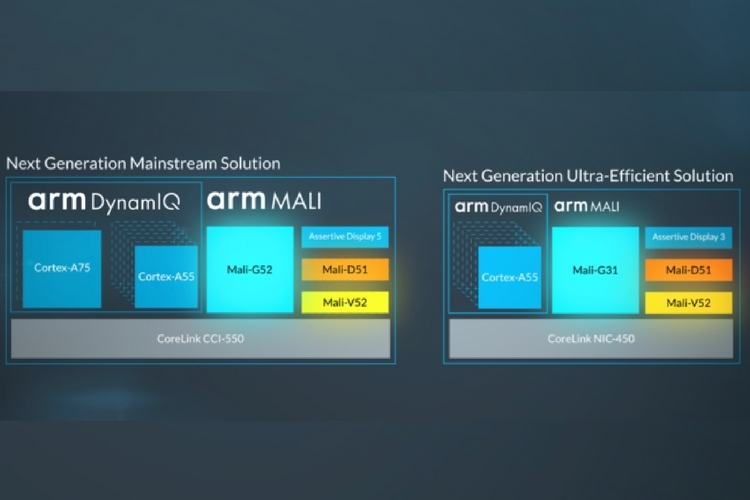 In addition to the new GPUs, Arm has also unveiled the Mali-D51 Display Processor and Mali-V52 Video Processor. The Mali-D51 is the first DPU based on the chip maker’s Komeda architecture. It handles simple offloaded tasks from the GPU like compositing, overlays, and scaling. Lastly, the Mali-V52 is the company’s latest-generation video processor. It can decode 4K at 60FPS with ease, and deliver 2x the performance over the Mali-V61. Arm says that all the new chips have been made available to OEM partners. Hence, we should start seeing more devices powered by these chips later this year.